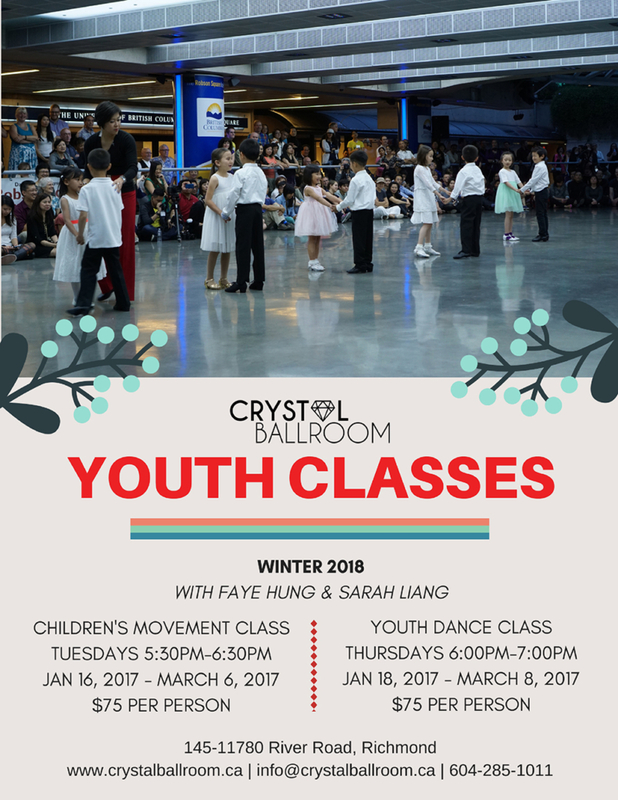 Our popular and affordable ballroom dance programs for kids and youths will continue in Winter 2018 with usual class times on Tuesdays and Thursdays under the direction of Faye & Sarah. 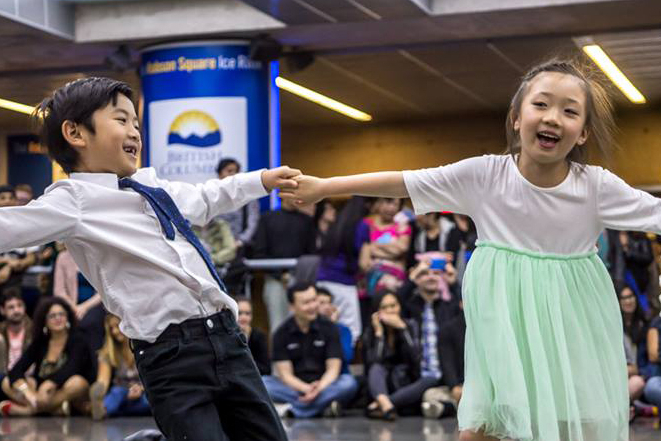 As always, our goal is to encourage children and teens to take up ballroom dancing and improve their musicality, confidence, ability work with others, and ultimately, learn to move on the dance floor! This semester, both classes will run for 8 weeks. There will not be a medal test for this session, the medal test will be in the Spring session instead. The Youth Program is a semester based program that requires commitment to all classes in each semester.